An affordable solution to lifting, work positioning and transporting problems. 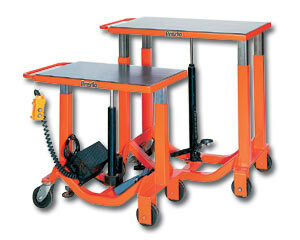 A smooth operating, maintenance-free lift table. Product No. Cap. (lbs.) Height Lift Lowered Travel Platform W x L Wt. (lbs. )* Ship Wt. (lbs.) Price Ea.